Product #17041 | SKU VCTPG11RMB | 0.0 (no ratings yet) Thanks for your rating! 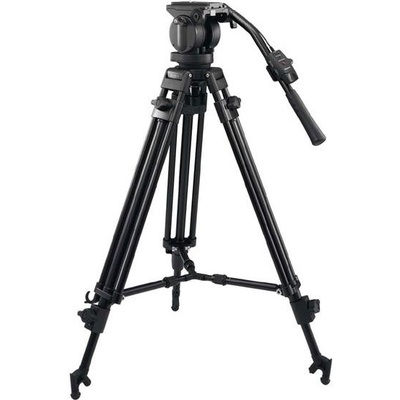 The Sony VCT-PG11RMB is a two-stage aluminium-alloy tripod intended for use with the HVR-V1U, DSR-PD170P, HVR-Z1E and HVR-A1E Mini-DV camcorders. It features the RM-1BP remote LANC controller on the pan arm for fingertip control of zoom, focus and recording functions, and a 75mm levelling ball-mount for rapid setups. The dual-tubed upper stage provides superior torsional resistance, and the mid-level spreader provides greatly increased vertical strength regardless of terrain.